It is necessary to keep the entry during the visit. We recommend to arrive with a maximum of 10 minutes in advance regarding the scheduled time. Once the entry has been validated at an access control point, it will not be possible to leave the palace and re-enter. The entrances give right to the access to the Palace of Gaudí the day and the hour that is specified. Once tickets have been purchased, it will not be possible to change the day or time of visit. To benefit from the established discounts, you must submit the corresponding supporting documentation , which will be subject to the validation of the control personnel. The admission right is reserved. Adapted tour for people with mobility difficulties. 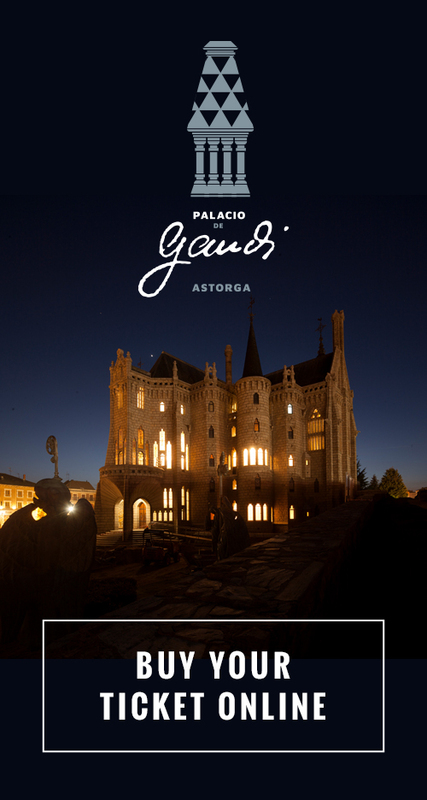 To receive personalized attention or make reservations, contact the Reservations Management Center: 987616882 or visitas@palaciodegaudi.es Changes can only be made through this email address.